When we undertake a project at Victorinox, we leave nothing to chance. You can see it in our commitment to the highest quality standards, in the selection of our fragrance ingredients, and in our manufacturing process. That’s why we are happy to let you take a closer look at our perfumers and our fragrance creations. For him From authentic, understated and inspired by nature, to fresh and adventurous – find the fragrance that’s right for you. 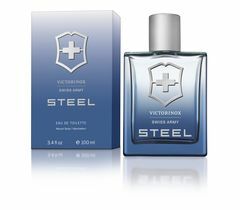 For her A burst of freshness, a floral scent, or exotic and sensual – a Victorinox fragrance brings out the real you. Be part of the action as we create a fragrance at Victorinox. The process involves lots of meetings, with mood boards, tons of fragrance samples, and some very fine-tuned noses. The initial fragrance samples The fragrance samples created by the perfumers are discussed and rated by a panel of experts. This process is repeated until a fragrance sample is found that is a perfect reflection of the new product development concept. Creating the flacon The scent of a fragrance and the design of the flacon must go together, complementing each other in perfect harmony. The Victorinox team discusses the initial sketches of the flacon design. Did we achieve this harmony? 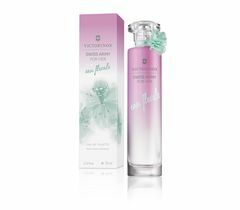 The scent, the flacon, and the advertising message supporting the new product combine to create a clearly defined image that reflects the whole experience of the new fragrance. A camera team accompanied us as we developed “Mystique Forest.” From fragrance creation to packaging development, they recorded our every move. Immerse yourself in the fascinating world of fragrance creation. Our Victorinox fragrances regularly garner awards all around the globe. This delights us, of course. And it shows just how much passion and meticulous attention to quality we put into our creations. Victorinox Ella wins three 2016 WorldStar Awards in the “Health & Beauty,” “Luxury” and “Marketing” categories. 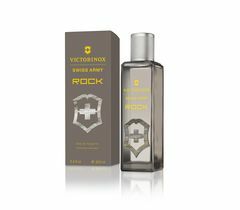 Swiss Army Rock wins the 2016 Swiss Packaging Award in the “Audience Award” category. Victorinox Swiss Army Victoria wins the 2015 Singapore Beauty & Wellness Award for “Best Fragrance” in the “Bloggers Choice” category. Victorinox Swiss Army Forest wins the 2014 Singapore Men’s Health Groom Award. Victorinox Swiss Unlimited Energy is a finalist in the 2014 FiFi Consumer Choice Awards. Victorinox Swiss Unlimited Snowpower is a 2011 FiFi finalist. Victorinox Swiss Unlimited wins the 2010 FiFi Award in the “Technological Breakthrough” category. Victorinox Swiss Unlimited wins the 2009 European POPAI Award in the “Best POS Material” category. Victorinox Swiss Army Classic wins the 1997 FiFi Award in the “Men’s Packaging of the Year” category.